The talented folks at Office here in San Francisco developed and curated a Bigfoot-inspired art show called, ‘I Don’t Believe in You Either’. They invited myself and other local creatives to contribute a tree round for the show. 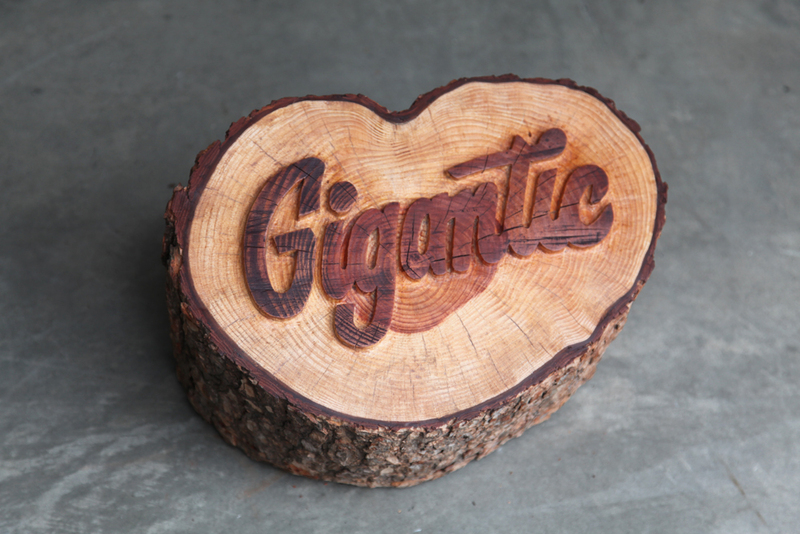 I recently acquired wood carving tools from my dad which I used to hand carve the word ‘Gigantic’. To me this word encapsulates the larger than life folklore of this mysterious hairy being.